Wisconsin loggers are the backbone of the wood products industry, a primary contributor to the Wisconsin economy and the sustainable management of forests in the state. 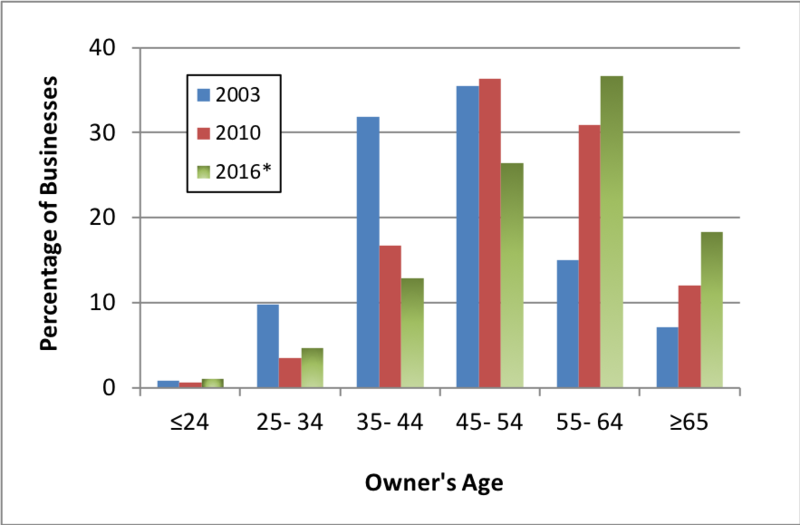 In the prior two surveys, we asked respondents to provide the business owner’s age, assuming that there was only one owner. Recognizing that this might misrepresent business structure, in the most recent survey, we asked about the number of owners and their individual characteristics (namely age and education). 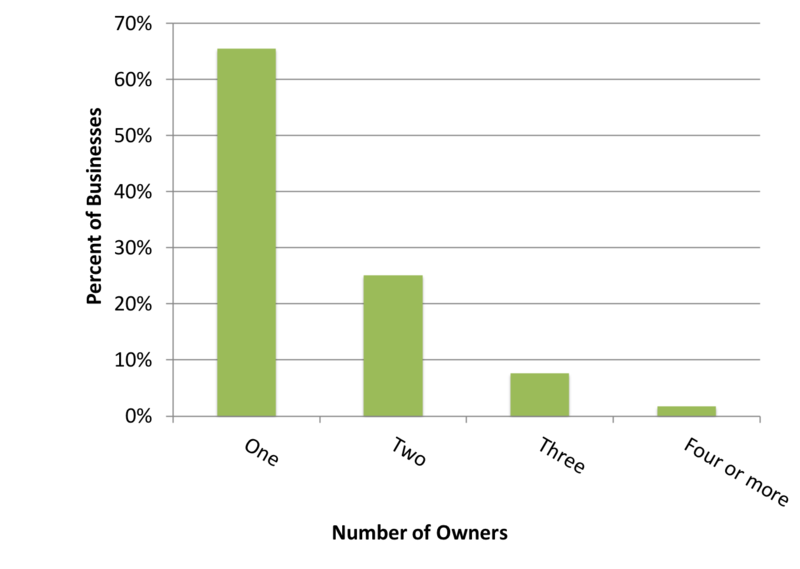 Two-thirds of logging businesses reported having a single owner, while a quarter reported two. 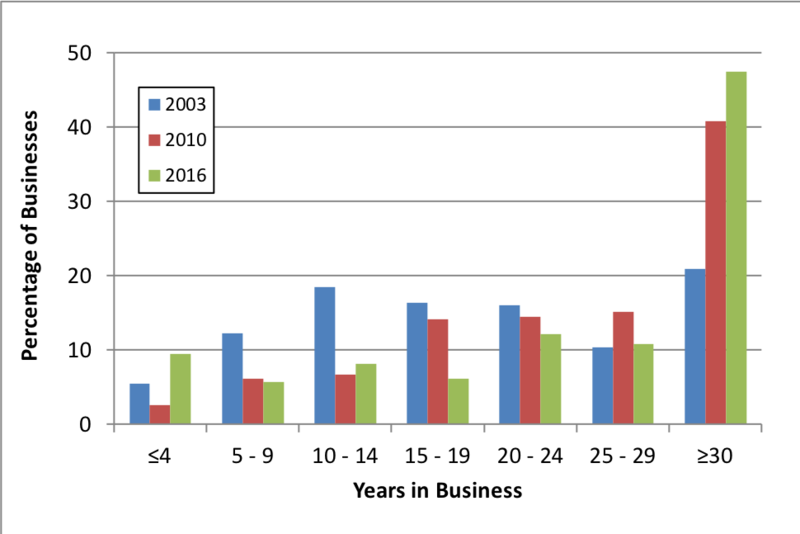 To calculate the median owner age, we considered only those businesses with 1 or 2 owners for the 2016 production year (>90% of businesses). The median age was 56 years, which compares to 46 in 2003 and 52 in 2010. 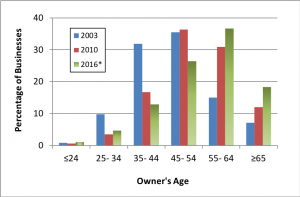 As the graph shows below, the age distribution of owners continues to shift to the right; that is, getting older. Indeed, the two most senior age groups (55-64, and 65 and older) account for 55% of all business owners. 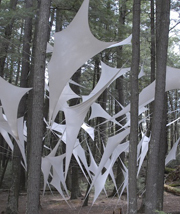 Similar trends are evident in the number of years that logging businesses have been in operation. The median was 18 years in 2003 and 25 years in 2010, and 28.5 in 2016. In the most recent survey, over 45% of logging businesses have been operating for 30 or more years. 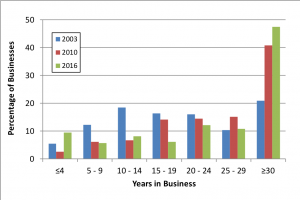 As with prior surveys, comparing owner age and the years in business suggests that the logging sector continues to gray, though there is a small uptick in number of of new logging businesses. Adding to this concern is that 26% of Wisconsin logging businesses in the 2016 survey did not expect to be in business in five years. In prior surveys, this number was closer to 20%. 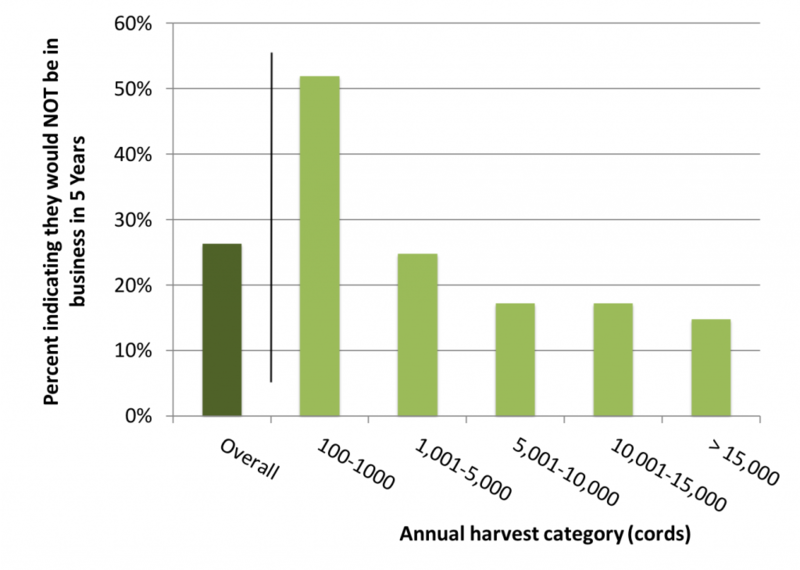 However, when we consider the distribution of being in business in five years by annual production, those reporting that they are likely to exit are most concentrated in the 100-1,000 cords per year category. Additional analysis is needed to assess the impact of business loss on overall logging capacity; however, handwritten comments on the questionnaires suggest that the challenges facing smaller businesses, such as mill agreements and high stumpage prices, may be a factor.